Romantic suspense with a gothic twist. The ocean that surrounds the South Pacific Island of Atua is a beautiful liquid that conceals danger. Kelly Tolver comes searching for her missing sister because someone prevented her from leaving the island with her child. 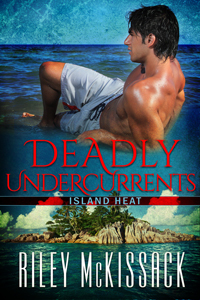 Was it Sinclair Delacroix, the seductive owner of the lavish South Pacific Island resort? His attractiveness might conceal a dark and dangerous side. Can Kelly trust him to help her find her sister? Or is he the real threat on this beautiful and secluded island?